In a surprising show of bipartisanship, days after U.S. Attorney General William Barr told Congress he did not find an obstruction case against Trump, the Democratic-led panel voted 22-0 to send the measure to the full House of Representatives for a possible floor vote. The US House Judiciary Committee approved to give details of probes against Donald Trump. 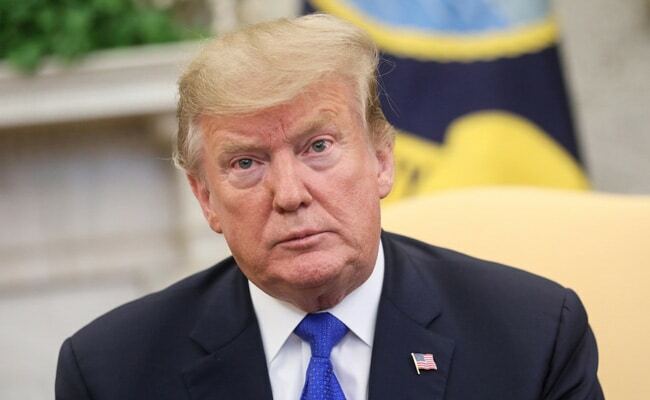 The US House Judiciary Committee on Tuesday unanimously approved a resolution directing the Justice Department to give Congress all records on FBI obstruction of justice or counterintelligence probes against President Donald Trump. Full House approval would give Barr 14 days to comply with the demand for all records and communications concerning FBI investigations of Trump, as well any discussions within the Justice Department about secretly recording the president or seeking to replace him by invoking the 25th amendment to the U.S. Constitution. Lawmakers are looking specifically at obstruction of justice and counterintelligence probes that former FBI Director Andrew McCabe says he launched after Trump fired his predecessor, James Comey, in May 2017. That effort was later superseded by U.S. Special Counsel Robert Mueller, who concluded his investigation into possible Russian meddling in the 2016 presidential election last week. McCabe has said that Deputy Attorney General Rod Rosenstein considered wearing a wire to secretly record conversations with Trump, a claim that Rosenstein has denied. McCabe has also said there were discussions at the Justice Department about whether Cabinet members could remove the president under the 25th amendment. Neither Justice Department officials nor McCabe were immediately available for comment. Democrats and Republicans are both determined to dig into the issue but for different reasons, with Democrats hoping to scrutinize early FBI evidence of obstruction by Trump, and Republicans expecting to trace what they view as a possible anti-Trump conspiracy at the Justice Department. Democrats said they viewed Tuesday's resolution as a move to obtain Justice Department material that could also shed light on Mueller's findings and Barr's decision about obstruction. House Judiciary Committee Chairman Jerrold Nalder, a Democrat who has called on Barr to testify before his panel, described the vote as "a very modest step towards obtaining the information that Congress deserves -- and requires -- in order to do its job." On Wednesday, the Senate Judiciary Committee's Republican Chairman Lindsey Graham called on Barr to appoint a special counsel to investigate possible U.S. law enforcement missteps in their probe of Trump.